This model is from 1958 – later than my mother’s 1955 version. I purchased her from a man who repairs and reconditions Elna’s for a hobby – and he does a great job because she runs as smooth as silk! I could seriously become a cam-collector…..
Of course the first thing I did when I got home was try out every single one! Then I tried out the buttonholer…..
Then I cut out and sewed a dress….. 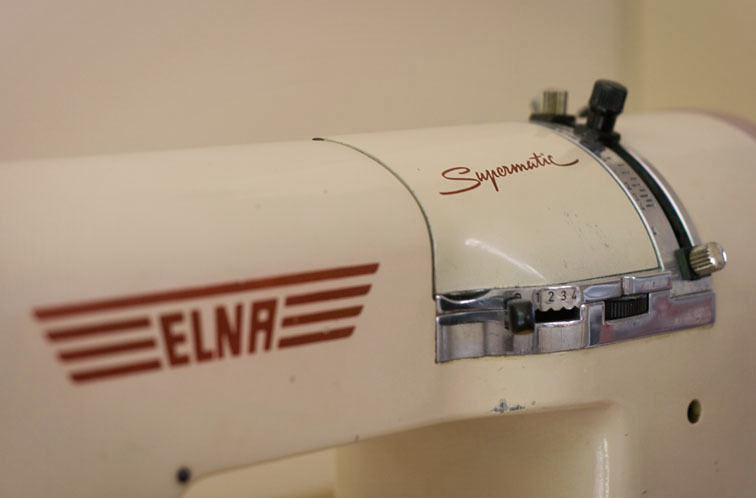 I had such a fun afternoon sewing in the sun at the kitchen table – and I’m so thrilled with my new Elna Supermatic! 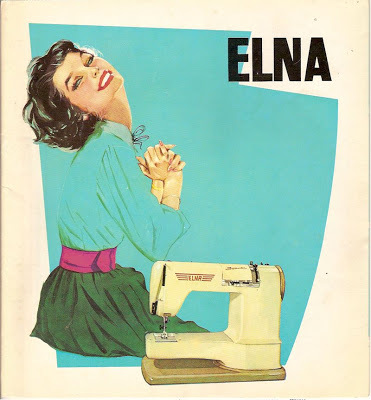 I do have a soft spot for Elna’s – I suspect it has a lot to do with nostalgic memories of sewing on the kitchen table at home as a schoolgirl! Do you have an attachment to a certain sewing machine? A particular brand? A specific era? Or, like me – the machine you learnt to sew on? Oh, she's beautiful. I'm a big Elna Supermatic fan. I love mine. When I took it to get serviced the guy said that old Elnas are great. They run perfectly. What a great machine. 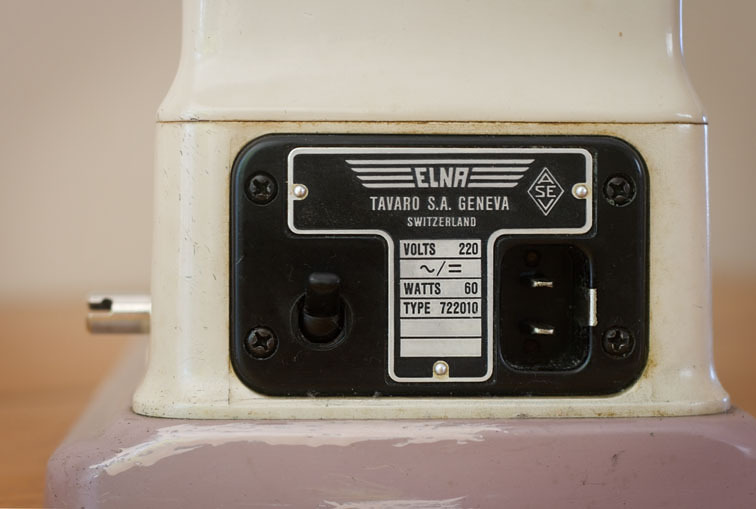 And I love that Elna knee pedal — I had one on my Elna Grasshopper. This is fantastic! What a beautiful machine. I love the soft click-calcking voice of an old Elna in good nick. It's so soothing and lady-like. That is a beautiful machine and by the look of those fancy stitches works like a dream. I think I'll always be a Singer person thanks to our family hand-me-down 348 Blue Magic. Oh wow, that reminds me of my mother's old machine, the first one she bought for herself after she and Dad were married (that would be 1963) It was green. I learnt to sew on this machine too. How wonderful! Yes, I prefer mechanical machines too… my old Janome is completely mechanical. A computerised machine would make me nervous! What a wonderful piece of sewing history! Thank you for sharing. Those photos are really great. Me, I don't have an attachment to any particular type of machine. My mother had one type of machine that I sewed on, but I also sewed on a different type of machine at my child minder's house, and a third type at school, which as I entered my teens became a fourth type at a different school. My own first sewing machine is something else entirely. I feel pretty comfortable on anything that isn't too highly computerised (ironically, because I've been into computers my whole life, much more than sewing). Just found your blog and reading…. Saw this and wished I still had my Elna, it broke down and was beyond repair but I had a whole “vintage” fold out booklet with 25 discs. Wish I'd known, I would have gladly send them to you! That is a pretty sewing machine! I'm completely in leauge with my 1973 (also green!) Bernina minimatic, and a total Bernina fan. I don't think I've met one that I didn't like. Mine got damaged in a recent cross-Atlantic move, and the sewing machine store was urging me to replace it. 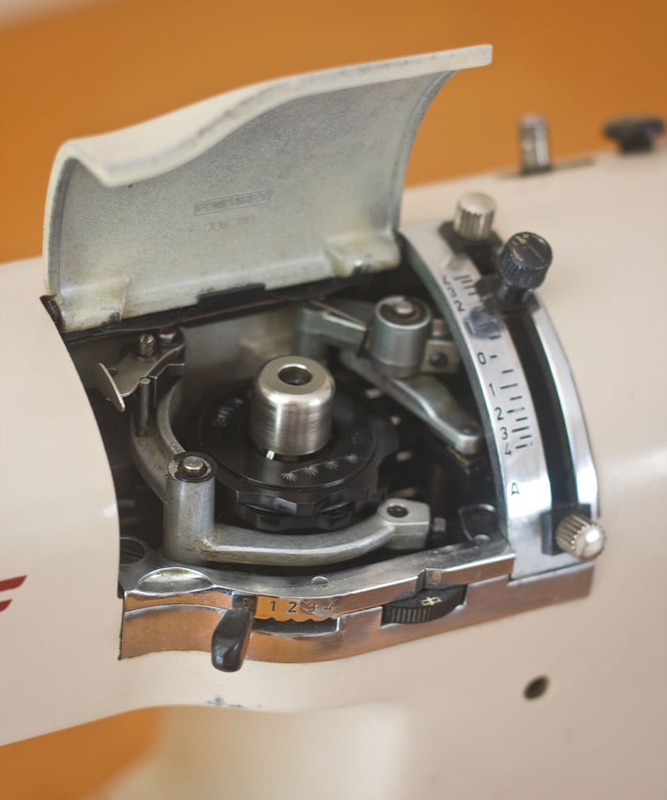 I just couldn't – as long as I can find people who knows how to fix my Bernina, I'm sticking to it! I learned on a slightly newer (late 70s? Early 80s?) Husqverna sewing machine, but I found out after I got my Bernina that my mom's first sewing machine was a Bernina too! 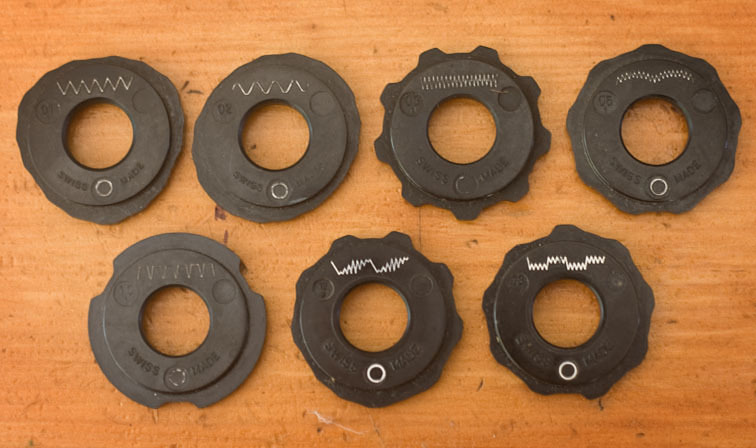 Now I am envious of all your cams, I have a Singer 503 Slant-O-Matic, known as the “Rocketeer” and it came with a number of cams, but I want that daisy cam and the greek key stitch, they look so fun. I am off to ebay to find something like that. Oh, I'm jealous. I have a huge thing for Elnas – my own is a 1975 SU (I've also got some of the cams that you have). I love that they're so heavy, none of this plastic rubbish you get nowadays. I've been stalking Trade Me for one like yours, but the one that's in the dark green/light green colourway. Don't you just love how they came in different colours? I doubt it would do more than my machine does, but I adore the 1950s industrial design (that font that says 'Supermatic' on the cam cover? Swoon!) and would be very happy just to look at it. Oh, heavens yes, the old black Singer my mother had that I learned to sew on. She was married in '52 and bought it for baby clothes. She said it was old fashioned even then. It was a 15-91 and came with a bentwood case. My youngest sister has it now. Looks like you have a lovely machine, too. I'm a “love the one you're with” kind of sewing machine owner. My first machine back in the late 60s was a Nelco and I loved it. Then I had a Nechhi and I loved that one too. I loved three Elnas before my current Bernina, all very much loved! I'm so fickle! Hmmm… I am not sure that you are not just loving the same machine. According to the reading I’ve seen, Nelco’s were designed as Necchi/Elna machines combining the best of both machines. Really well made, just too much competition in North America to prosper long enough to get a good foothold. One look at that machine and I'm back to my childhood watching my mom sew on that very machine. She made me and my sister matching dresses. I hated that machine. Seriously, I remember little me thinking it weighed a ton (nice metal parts!) and Mom wouldn't let anyone touch those disks. Enjoy it! BTW, me and Mom are both Bernina folks now (I'm 1080 and she's 1230). Hello . I have fallen in love with my Singer Slantomatic circa 1960s . I have been using it with its straight stitch needle plate and this has been a revelation to me in how much better the straight stitch is on things like silk satin and chiffon. OH wow. I bought the machine for $120 and it runs with gears so is a bit noisy but otherwise in WONDERFUL!!!! Wow! What is a nice buy! I understand your joy and that feeling .. I have a Bernina Record circa 1950's to 1960's. My mum has exactly the same one and on this I learn't to sew. I love it but mostly now use my electronic Janome, not sure why, it is the one I am currently comfortable using. Also, my old Bernina doesn't have a one step buttonhole and I am too lazy to work out again how to use the manual buttonhole. Beautiful – those cams are awfully appealing, and it looks like the machine sews like a dream too! When I was in my teens my mum had an Elna, so I knew that was a good, reliable machine – but she now has an older Bernina! I have a newish Janome, and my partner has his late granny's old Singer, but I have yet to try it out. 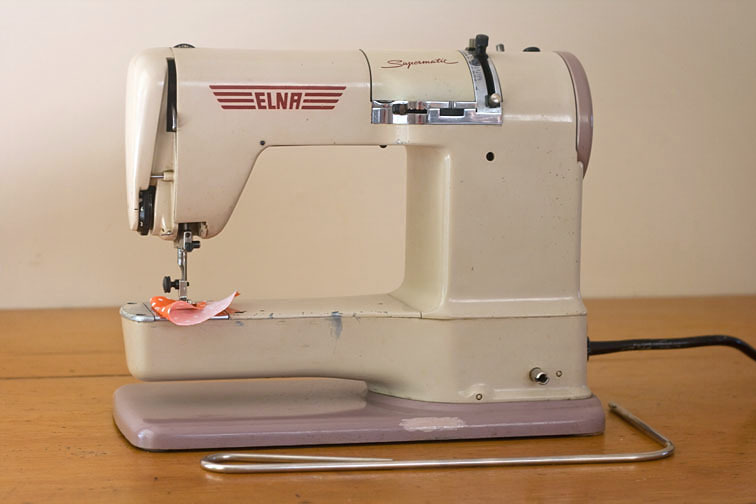 My Grandmother had a 62C Elna SU and for utterly sentimental reasons, I acquired one as well…brings back very fond memories of watching her sew. It has cams, some the same as yours. My favourite breed hands down, is Bernina. Vintage or new, there are a few in my herd and all are worked hard and loved! I only have a computerized Kenmore and I really like it but it isn't very powerful and I've really been wanting to get an older all-metal machine that can sew through heavier fabrics. I've been eyeing an Elna Transforma at a local consignment shop. Does anyone know much about the Transforma? From what I can tell, it is basically a Supermatic without the ability to use the cams. 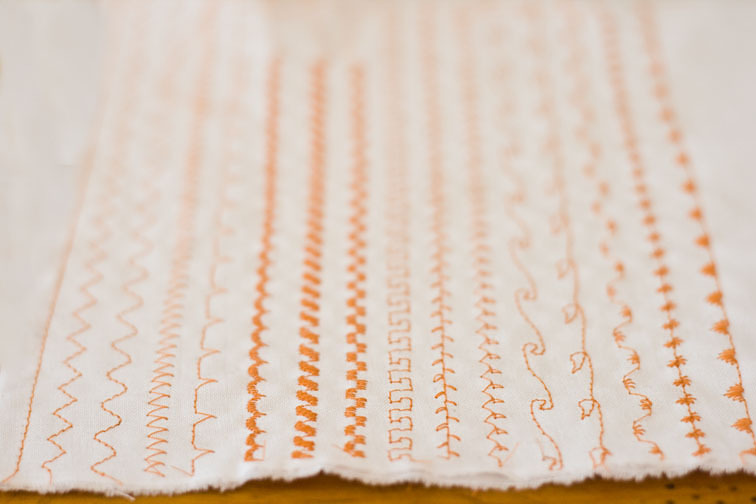 A transforma is a straight stitch supermatic that can be “transformed” into a zigzag machine. Similar to buying a motor kit for a singer treadle or hand crank. I don’t know where you would get the zigzag parts, but those Elnas were sold on the basis that you could upgrade them when funds permitted. Otherwise the transformas were like the grasshoppers. Hope this helps. That is a beautiful machine, congrats!! I just got an old Elna on eBay. It's from the 50's just like the one my mom had and I learned to sew on. This eBay purchase arrived with tape all over that pulled off paint and it's kind of noisy. I love to have it refurbished but I don't know of a place to take it. Was yours refurbished? I also have a couple of old Singers that I love. One's a 15-91 and one's a Featherweight. Great little machines. Wow, this is so cool! Not only is the machine beautiful but I love the technology of the little wheels that fit in – amazing. I'm almost 100% sure that this is the same machine that I learned to sew on. My mother bought it before she got married and it travelled with her to Africa, Europe and Canada! (She used an electric transformer in some of those places.) I love, love, love the knee pedal. I've never been able to use a foot pedal at all. Sadly, when I moved to Asia for “a couple of years” I put it in storage, and 16 years later it is still there. Sigh. I would love to bring it back with me, but it weighs a ton. Thank you for the happy memories of all the wonderful things the two of us made with that machine! PS: I'm in Auckland so it won't be too much of distance to travel. Nice blog you've got here. I've enjoyed reading your blog ever since I discovered 2 days ago. I've just recently acquired two elnas; a grasshopper and a supermatic. Would it be possible for you to give me the details for the repair guy who reconditioned your elna? I would really appreciate the info. I'm in Auckland, so the travel distance will not be too much trouble for me. I am now the proud owner of an Elna Supermatic 722010 that I found in a charity shop yesterday. I went back for the little (but heavy) “Grasshopper” but as it has no electric contact I won't unpack it just yet. I spent more on dust removers and cleaners than the machine cost, I have it working but…there is a disk stuck in the machine which I hope to get out with some help from someone stronger. 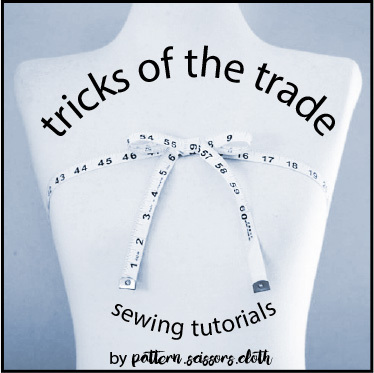 But I have no instructions (wouldn't mind paying for pdf's) and can quite figure out the straight stitching,i.e length of stitching and if it does backward stitching. Can anyone help with the dial with grading and 3 knobs on it? I have another Elna but that is in the sewing machine repairers as it stopped zigzaging. Also have a Pfaff 332 there with a broken motor drive belt that is impossible to get hold of and replace. LOoks as good as yours. Now need to getvthe hang of using it. I bought an Elna Supermatic with attachments at a thrift store a year or so ago. It is in line to go to the sewing repair man as soon as I have enough money to cover the probable cost. From what I have read on the subject, these machines have capacitor issues, need a special tool to remove the flywheel and that flattened tooth jobbie is expensive to try to replace. I live in Canada, and internet shipping costs and customs complicate matters. Itmay cost as much as $300 to get the machine up and running, so it always gets shifted to the back of the repair queue. Would be nice to use it though. 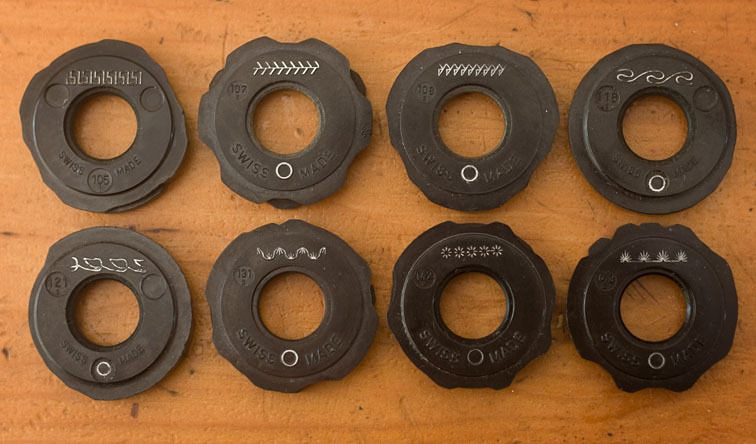 Can you tell me whether the machine is high or low shank? I have a couple of buttonholers too.